This is THE One ! 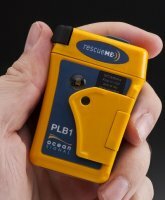 Introduced by Ocean Signal in 2013, the worlds smallest PLB - the rescueME PLB1 406 MHz Personal Locator Beacon by Ocean Signal, Ltd. 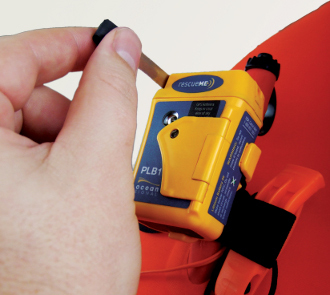 Wherever you are at sea or on land, the rescueME PLB1 provides the reassurance that emergency services can be alerted by the press of a button. The rescueME PLB1 works with the only officially recognized worldwide dedicated search and rescue satellite network (operated by COSPAS-SARSAT). As this global network is funded by the member nations there are NO ADDITIONAL CHARGES OR ANNUAL FEES to use this service. Each PLB MUST be registered with the owner's home nation governing authority. When activated the rescueME PLB1 transmits your position and your ID to a Rescue Coordination Center via satellite link. Rescue services are promptly notified of your emergency and regularly advised of your current location. Unique flotation pouch for belt or general storage. Operation of the rescueME PLB1 could not be simpler. To activate the PLB: Pull the retractable antenna out by its end tab, flip open the spring loaded cover over the activation button, hold the button for 1 second until the lights blink. Visual instructions are clearly printed on the case. When activated, the rescueME PLB1 will transmit accurate position data from its 66 channel GPS for a minimum of 24 hours while the integrated strobe light ensures maximum visibility. Ocean Signal has ensured that rescueME, like all of its other safety products, exceeds statutory requirements. rescueME PLB provides an incredible 7 year battery life, and is covered by a 7 year warranty**. Even after more than 24 hours of continuous operation, and when the battery power is insufficient to transmit the satellite signal, the PLB1s homing beacon and strobe light will continue to operate. This high intensity strobe light features a molded lens to enhance the visibility of its efficient LED and it gives a powerful 1 candela light emission. Self-test of the PLB can be carried out with a simple button press with the start of test and results clearly indicated by a green flashing light. 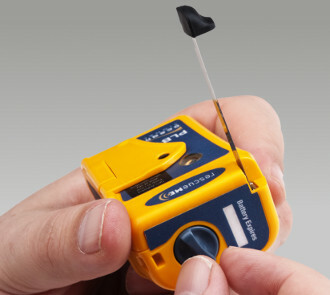 The antenna is easily extended like a normal tape measure and can be retracted using the winding mechanism on the top of the unit. This unique feature greatly facilitates user training and familiarization as it is not a one time deployable antenna similar to existing PLBs. 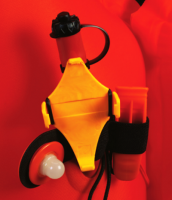 rescueME comes with a snap-in mounting bracket and universal rubber mounting strap which can be fitted permanently or with each use. It is also supplied with a detachable flotation lanyard to accommodate all scenarios out of the box. After extensive testing and development, Ocean Signal displays immense confidence in the quality and reliability of the rescueME PLB by providing a 7 year product warranty. International Customers Please Note: NOAA ( USA ) recommends registration of a 406 MHz Personal Locator Beacon in the country of residence and / or country where the designated emergency contacts reside to avoid a potential language barrier problem. All EPIRBs and 406 MHz Personal Locator Beacons sold by OceanMedix.com LLC are default programmed by the manufacturer and coded for registration in the United States with NOAA. Please contact OceanMedix.com LLC with regard to the availability of devises programmed and electronically coded for registration in all other countries, as some restrictions may apply. A PLB or EPIRB once re-programmed / country coded for a country other than the USA may not be returned for a refund. NOTE: As a PLB or EPIRB is a primary safety devise, it may not be returned for a refund once the box has been opened. If you have any questions concerning this product, please don't hesitate to contact us. 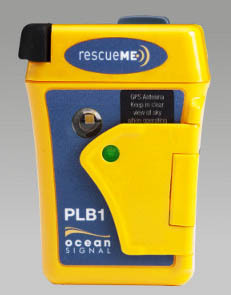 Click the button below to add the Ocean Signal RescueME PLB1 to your wish list.